Years ago, when I started my practice in 1973, the two most painful plastic surgery procedures that were performed were augmentation mammoplasties (breast implants) and abdominoplasties (tummy tucks). Both are understandably very uncomfortable because there are tissue and muscle dissection. Any time muscles are being stretched to their limits, you can count on discomfort. For the breast augmentation, most implants are placed under the muscle, which stretches the muscles as well as the breast and skin. There are other causes of discomfort as well, such as doing the dissection on the periosteum of the ribs. The periosteum is very sensitive to disruption, as anyone who has broken a rib will know. The rapid recovery technique involves using a dissecting instrument that cuts as it coagulates, and keeping the tip of the instrument a few millimeters away from the periosteum is paramount to reducing discomfort. This also reduces bleeding to a few drops, and this reduces the inflammation that occurs when blood accumulates in the tissues. Also, a new product called Exparel keeps the tissues anesthetized for 48 hours. Last but not least, the patients are given exercises to start 6 hours after surgery. The sum of the different techniques is that the patient can resume some normal daily activities the next day or two with the exception of exercising. Discomfort is now minimal, and many patients only take one or two pain medications at the most. and a crescent lift on left breast only. The reason abdominoplasties are so uncomfortable post-operatively is that it is necessary to tighten the rectus muscles (the six-pack muscles), which are sutured together to give the patients an internal corset. Plus, the skin is pulled tight and usually, the drains are very uncomfortable. The newest technique is called the drainless or no-drain abdominoplasty, so obviously, there are no drains to contend with for 5-10 days (which patients despise). One cannot simply elect to eliminate the drains, so the technique incorporates a special suturing technique called Progressive Tension Sutures in which the elevated skin and underlying fat flap is sutured to the fascia of the muscles eliminating the empty space. These sutures keep the flap from sliding around on the muscles when the patients move, and this reduces the risk of fluid accumulation so that drains are no longer necessary. Finally, Exparel is injected into the cutaneous nerves and into the muscles for prolonged anesthesia of the abdomen. This reduces the discomfort allowing the patient much faster recovery and mobilization for a much more pleasant experience. Patients can now relax when planning either breast augmentation or abdominoplasty as pain, discomfort, and recovery time should no longer be deterrents for those interested in undergoing these procedures. Before and 2 months post-operative. Dr. Finger specializes in the Tummy Tuck procedure without drains. 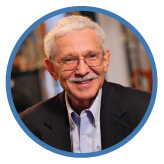 Dr. E. Ronald Finger is a Board Certified Plastic Surgeon, Author of "Why Grow Old" and the Inventor of New Youth Skin Care. 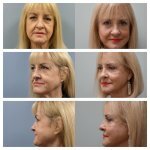 Dr. Finger has been practicing as a Plastic Surgeon in Savannah Georgia since 1973 and currently offers two locations for Plastic Surgery consultations and procedures. His office locations are in Savannah Georgia, and Bluffton South Carolina. Dr. Finger was the first to offer NeoGraft Hair Transplantation in the Coastal Empire. New Youth Medical Spa offers Fraxel Laser Treatments and Skin Rejuvenation Treatments. Visit fingerandassociates.com to find out more. 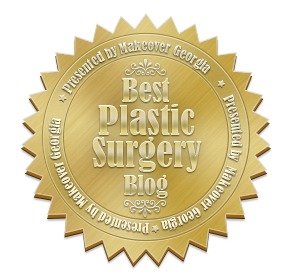 Dr. Finger has answered over 1200 Expert Plastic Surgery questions on realself.com and is considered a Top Doctor.